The streamlined design of the all-new M-Series puts the focus where it should be - pixel-perfect picture quality and an intuitive new Smart TV experience. VIZIO’s Full-Array LED backlighting with up to 5 Active LED Zones™ delivers superior light uniformity, deeper black levels and brighter, more vivid details. In addition, sports and fast action scenes are clearer than ever, thanks to 120Hz effective refresh rate with up to Clear Action 360 (available on most models). And Active Pixel Tuning enables intelligent pixel-level brightness adjustments to further increase contrast and picture detail accuracy. 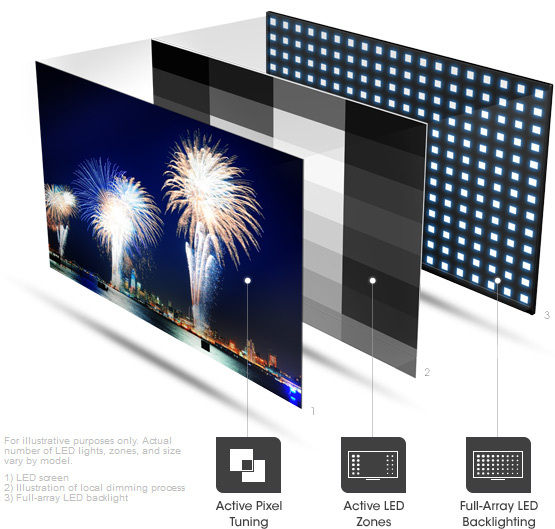 Full-Array LED backlighting across the entire rear of your television screen provides superior light uniformity, color consistency, and a more responsive picture. This TV was designed using Active LED Zone™ technology to color your entertainment with blacker blacks and brighter brights for class-leading picture quality. This TV feature an amazingly fast 120Hz effective refresh rate and a Clear Action of up to 360, both of which combine to deliver blur-free images and a smoother viewing experience. Picture performance is fine-tuned by automatically adapting to the smallest on-screen detail through pixel brightness adjustments. VIZIO Internet Apps Plus® is your passport to a world of entertainment, movies, TV shows and more†. All on your schedule, directly on your HDTV. A revamped user interface lets you access the apps you love quicker and more easily. Ultra-fast Wi-Fi provides an easy clutter-free Internet connection. A newly expanded apps library adds to an already unrivaled selection. A full-screen app launcher makes finding and organizing your apps a breeze. * The NPD Group Retail Tracking Service, LCD only-apps included, Total Units sold in the U.S.: January –September 2014. 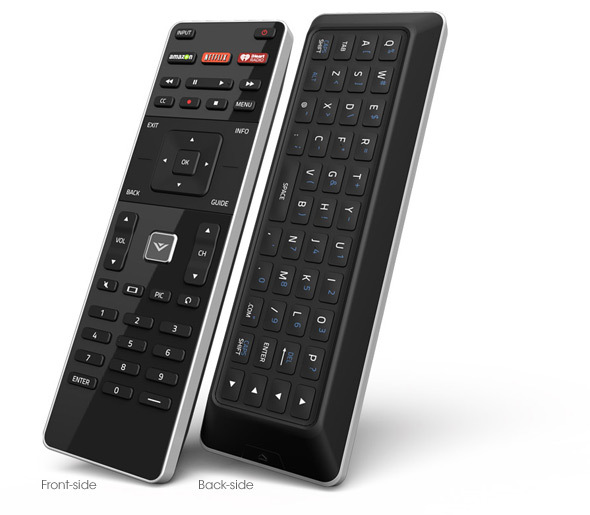 Sleek new design features make the Backlit Smart Remote as attractive as it is practical. The full QWERTY keyboard lets you type, search and find your favorite content quicker. Its backlit keys make it ideal for viewing in the dark, while its V-Key and Quick Launch Smart TV keys offer one-touch access to all your favorite apps, movies, TV shows and more. 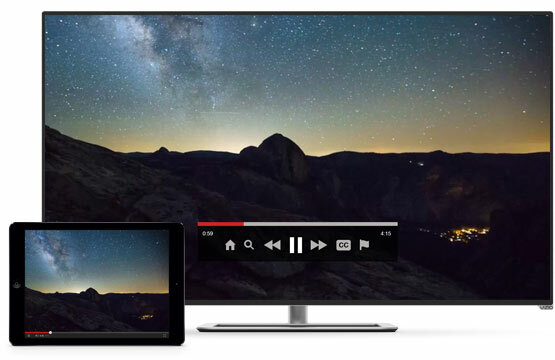 Seamless viewing across multiple screens. This convenient and innovative technology enables you to control apps and seamlessly transfer content between your TV, mobile phone and tablet with the flick of a finger, for a truly integrated multi-screen viewing experience. Works on both iOS & Android mobile devices and tablets. Give your room a designer upgrade with the ultra-narrow, near borderless design of M-Series. 3 HDMI and 1 USB ports are perfect for connecting all your high definition entertainment devices to the TV. Advanced color management ensures optimal accuracy of color and detail across all your devices. Advanced virtual surround sound audio from VIZO’s two built-in speakers. Quick, on-screen access to the user manual. No need to search for a paper user manual. More energy efficient than conventional CCFL-based LCD TVs to save you even more on energy bills. "The Vizio M-Series delivers superb picture quality for the money thanks to its local dimming LED backlight." "If you still think of Vizio as a value brand, it's time to recognize that the company is becoming a leader in image quality." "With Full-Array LED backlighting, this allows for stunning picture quality, with an even distribution of LEDs across the entire screen..."
"...after considering the combination of features, price, screen size and remarkable picture quality, the VIZIO M602i-B3 earns our Highly Recommended recognition." Choose the right sound bar for your TV. The VIZIO sound bar family offers a wide range of models to match your TV size and completes the home theater experience for any room. Optimized sound for small to medium sized TVs and spaces where a simple audio upgrade is all that's needed. Crystal-clear sound with the extra bass kick of a subwoofer to fill any room with more immersive audio. Three-channel audio for superior bass, enhanced dialog clarity and a wider listening angle, without a subwoofer. The pinnacle of surround sound immersion and convenience, this system turns any room into a true home theater. 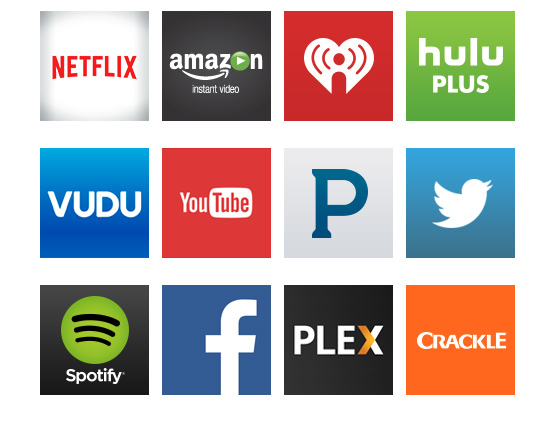 † The applications and content of the VIZIO Internet Apps® and VIZIO Internet Apps Plus® pictured herein or described on this page may only be available in certain countries and languages, may require additional fees or subscription charges, and may be subject to future updates, modifications, interruption and/or discontinuation of service without notice. VIZIO has no control over third party application or content and assumes no responsibility for the availability or interruption of such application or content. Additional third-party terms, conditions and restrictions apply. High-speed/Broadband Internet service and access equipment are required and are not provided by VIZIO. Product with Stand Weight15.65 lbs. Product without Stand Weight13.23 lbs.